Last year for my birthday I was given 2 metres of beautiful fabric by my best buddy (she knows me well!!) and it has taken me until now to find the right pattern for it. 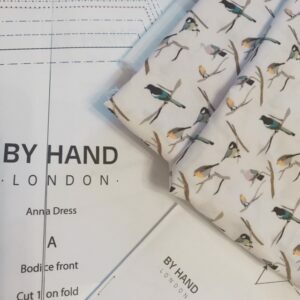 I had a few contenders but finally settled upon the By Hand London Anna dress. I had seen some beautiful versions online and decided this was the one to do it justice. 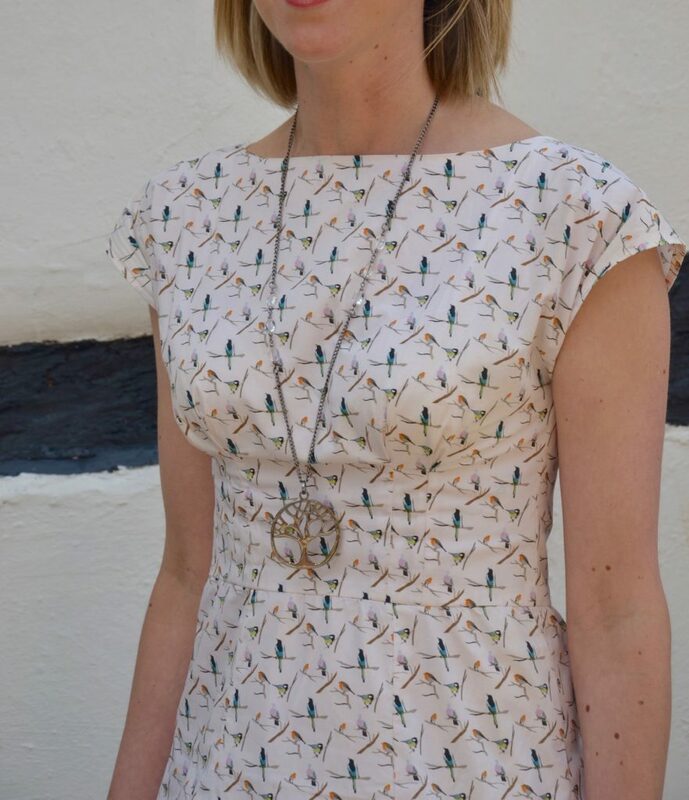 It is described as ‘an effortless Summer dress’ and features double pleats at the bust, kimono sleeves and has 4 panels in the skirt!! The fabric I used is 100% cotton from John Lewis. It has a variety of small birds on it and I absolutely love it! I settled on variation 3 of the Anna dress which has a slash neck and midi skirt length. There is the option of a v- neck and maxi dress length with a thigh high split – lovely but alas not enough fabric for it! The pattern suggested I needed approximately 2.6m of fabric but I only had 2m – could I squeeze it in – let’s find out…!! 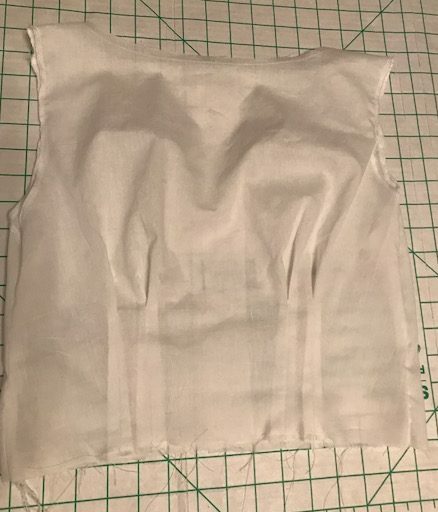 I decided to make a toile first (test version out of cheaper fabric or muslin) – this was important to get right especially to see if I could make it out of 2m!! 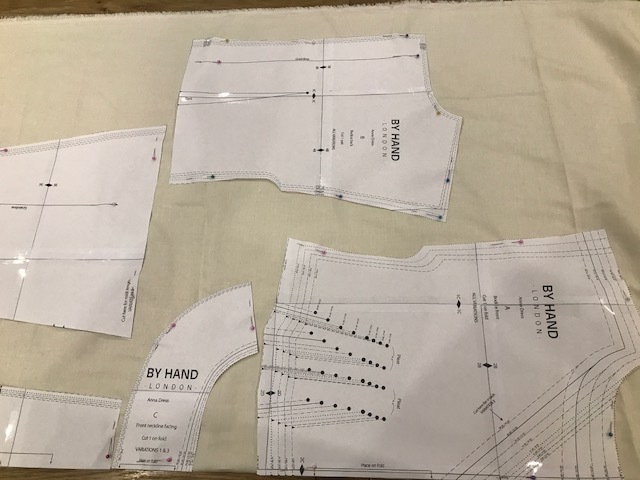 I cut a size 12 bodice, grading out to 14 at the waist and then a size 12 skirt. This is the beauty of multisize patterns – you can grade between sizes when you cut out the pattern, dead easy when you fall across sizes (I’m sure the majority of people do!). 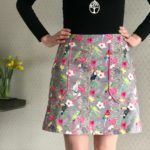 I also lengthened the skirt section by 3″. The toile fitted pretty good and I was happy with it. It also gave me the opportunity to practice the bust pleats and the panels in the skirt. 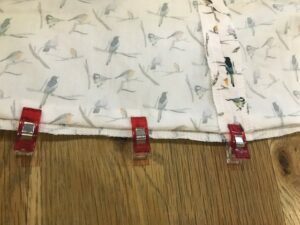 I had a brilliant piece of advice given to me on instagram by Anna to say that is is really useful to label the skirt pieces so you don’t get confused when piecing them together during the construction of the skirt – genius! 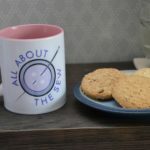 I love the sewing community for these little nuggets of advice! 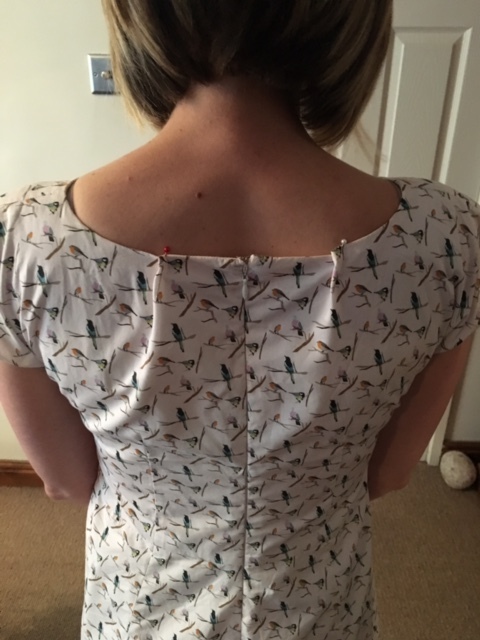 You may be able to see that I didn’t insert a zip into the toile, with some help pinning the required seam allowance at the back seam, it looked fine so decided to skip the zip – mistake number 1! Onto the main dress. 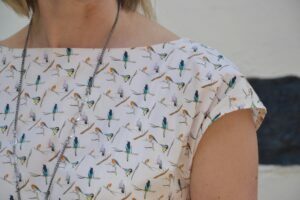 One thing I definitely needed to pay attention to was the direction of the print – those birds had to be up the right way up (I have a history of making this simple but easy to make mistake!). And yes I managed to just about squeeeeeeze the pattern pieces out of the 2m of fabric. 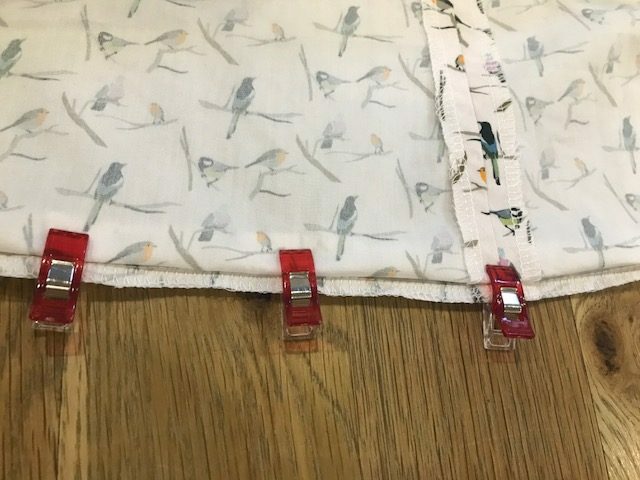 What helped was that I decided to line the dress fully so didn’t need to cut any facings out of the bird fabric. 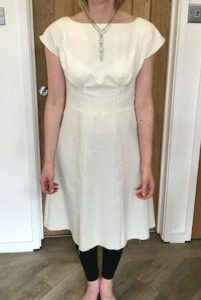 I lined the dress with an ivory cotton lawn as otherwise it would have been too see through- it’s really lovely and soft. 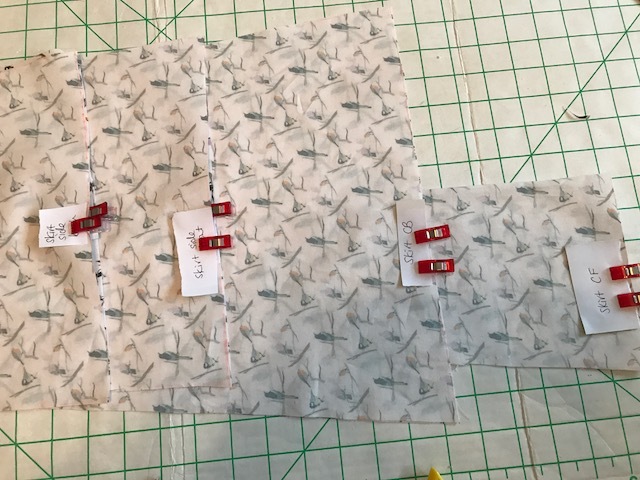 Here is the completed bodice lining – I didn’t include the sleeves in the lining but simply cut the kimono sleeves off and overlocked the sleeve edges. I had rather a tight timescale in order to finish the dress and would ideally have liked to hand sew the hem. But alas not enough time so I used the blind hemming foot on my machine (which by the way is a slightly tricky technique but is brilliant!). 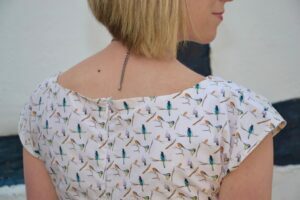 In theory you should only see a very small spot of thread on the right side of the fabric. I posted a video on instagram to show the foot in action. The pattern instructions were clear enough but I also did refer to the sewalong that By Hand London have done which was super useful in places to add photographs and clarity. Anyway enough techniques and sewing geekiness- let’s see the finished dress!!! You can see the lovely double pleats at the bust in the above pictures. I must also mention the necklace that I bought to go with the dress – it is from a lovely little shop in Knowle in Solihull called Decadence. 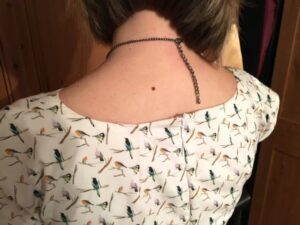 I’ve worn it loads with other outfits too! So the front of the dress to me it great. 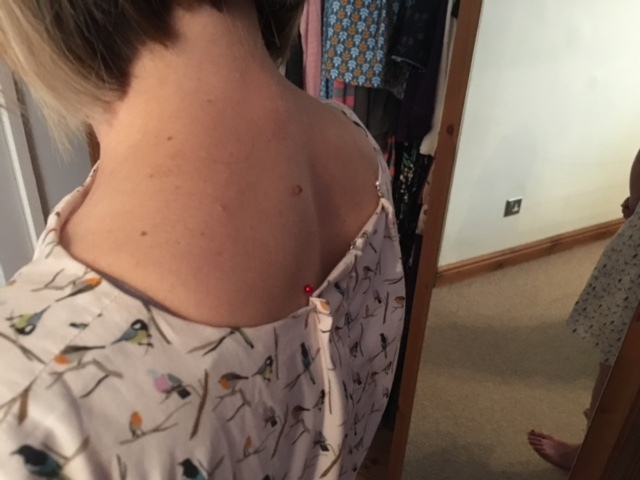 Now to the back – the back of the neckline gaped quite a lot. This is where I should have inserted the zip in the toile to accurately check the fit across the back. 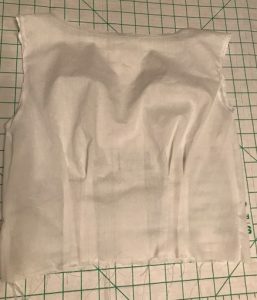 I decided to call on the advice of the sewing community once more and posted the picture on instagram to ask for their thoughts on what I needed to do. After comparing the back to another top I made, I decided that I should have made an adjustment to the pattern for a narrow back. 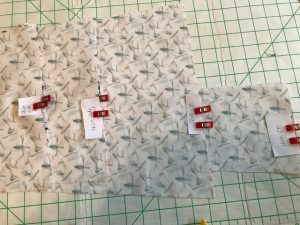 It was too late for that at that stage so I decided to insert a couple of darts into the both the outer dress and lining pieces. Again I called upon help to pin the excess fabric in place to guide my dart placement. The darts were 2cm wide each at the top and positioned 6cm either side of the center back zip. This in theory seemed to get rid of the gape. 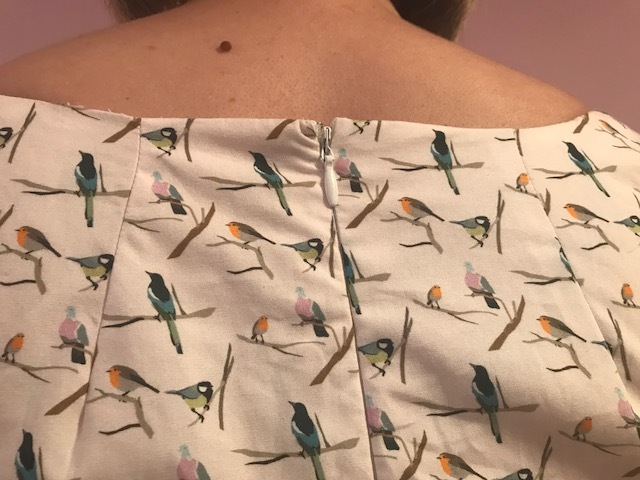 You can see that is has been successful at getting rid of the gape and the rear neckline lies much better across my back but I’m not 100% happy with how the top of the invisible zip lies – maybe I will sort that out sometime (or just live with it!!!!). Well I have to conclude that I love this dress! It is super comfy and really versatile to wear during the day with wedges and dressed up in the evening with heels. I already have my second lined up!!!!!! 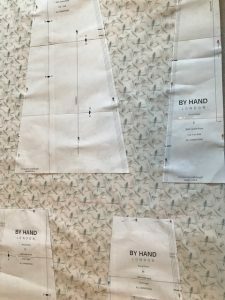 Next time I need to address the back issue prior to cutting the pattern pieces out and make another toile to check the fit – add it to the ever growing sewing list! 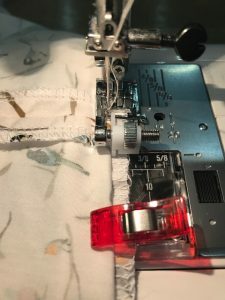 Well until next time – happy sewing!!!!! 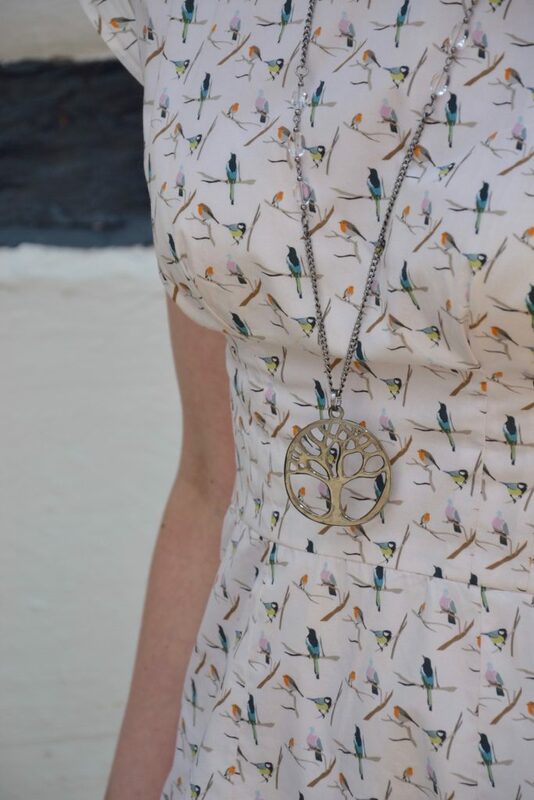 What a lovely dress Lorna! The darts have worked well at the back too. I once read ‘ you never stop making mistakes you just get better at fixing them’ and i think you’ve done a good fix here! Thanks Lucy. Good motto to remember I reckon! 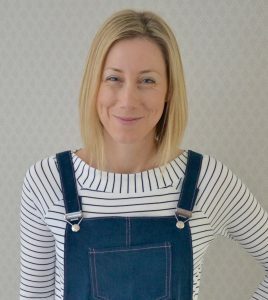 Hi I’m Lorna – the founder of All About The Sew – sewing workshops in Solihull. 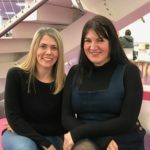 Read more about me.